By 2021, the translation industry is supposed to witness revenue of 2.5 Billion US Dollars. And for all of this, the OTT players are solely responsible. Don’t believe the stats, Start reading. Have you watched “Narcos” – The acclaimed Netflix original? Well, if you own a Netflix subscription, you must have watched it for sure. In case, you haven’t, Narcos is one of the most popular shows from the video streaming giant, based on the famous Columbian drug leader of the same name. Narcos was originally released in Spanish, but with the increasing popularity in other countries, it was later dubbed into seven different languages and subtitled into Twenty Four. As two out of every three Narcos viewers were Non-Spanish, the video localization strategy worked and Narcos became a huge hit worldwide. This was a great success for both Netflix as well as the language translation industry. And Since then, Netflix continued localizing its content, with an aim to expand its audience base. This led to a trend of video localization in the OTT industry and every other video streaming player adopted it. Video localization refers to localizing videos into regional languages with the help of subtitles or dubbed audios. It not only broadened the globalization of the video streaming industry but also triggered many opportunities in the language translation sector. First of all, video localization marked the establishments of certified Language service providers (LSPs). Earlier, very few translation companies were offering subtitling & dubbing services. As video localization in the OTT industry was all about integrating subtitles and audio languages to the online videos, the workload of these companies increased to a larger extent. Due to the high volume and high-stress task, many translation companies among the few failed to make the delivery. However, the companies which sustained the work pressure and maintained the standards of subtitles and dubbings, established themselves as Language Service Providers (LSPs) and started working closely with the OTT platforms. At present, more than hundreds of LSPs are handling a deluge of content from the streaming industry regularly and are directly contributing their efforts towards OTT globalization. Second, video localization revamped the quality of translation services. 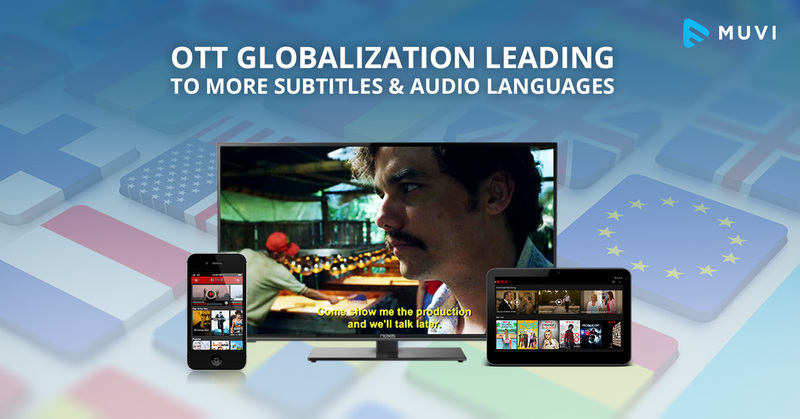 Most of the video localization projects that come from OTT industry involve subtitling. The reason for this is very logical. Subtitling costs 1/10th of Dubbing, and thus a majority of video streaming platforms opt for it. However, there are exceptions where subtitling doesn’t work, and dubbing is preferred for better localization. Well, whether it’s subtitling/dubbing, all that matters is quality. For OTT players, quality of subtitling plays a critical role in retaining the viewers. Subtitles which are accurate in terms of context and average reading speed is considered as high-quality subtitles. Users better understand foreign content when subtitles are of excellent quality. But when subtitles involve any error or confusion, they simply prefer to leave the platform. Considering such user behaviors, the streaming companies now focus a lot on the quality and have forced the language industry to revamp its translation services for both subtitling & dubbing. Last but not least, Video localization boosted the economy around translation business. Presently, the standard rate for subtitling a video ranges from $1000 to $2000. The veterans may even charge more, especially when languages come with unique challenges. As OTT players don’t prefer to compromise on the quality of translations, the pricing continued to increase and today has created an economy around the global translation business. For your knowledge, the economy around the translation industry has grown up to 40% in the past three years and is expected to surpass $2.5 billion by 2021. Well, in simple words – all these OTT demands have combinedly transformed the language translation industry into a billion dollar company. The value of global OTT market is expected to surpass $2.2 Trillion by 2021, which means, more number of users will opt for online video streaming in the future. This mathematics will definitely push the emerging OTT players to invest more in subtitles & audio languages. So, there is no doubt, the need for audio-visual translations will continue to evolve in the streaming industry. 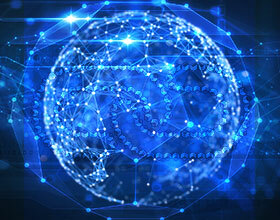 Also, it’s expected that the global LSPs offering a bouquet of more than 40 languages will witness a surge of 1.5 times in their pay and will continue to dominate the industry. In such scenarios, if you or any of your friends/relatives are willing to start language translation business for streaming platforms, please go ahead. The future is all secured. For any further information about the OTT industry and its video localization strategy, feel free to comment here.